Craftswomen working at Anna Trzebinksi. All photos by Lanee Lee. Paris and Milan aren't the only global capitals of fashion. 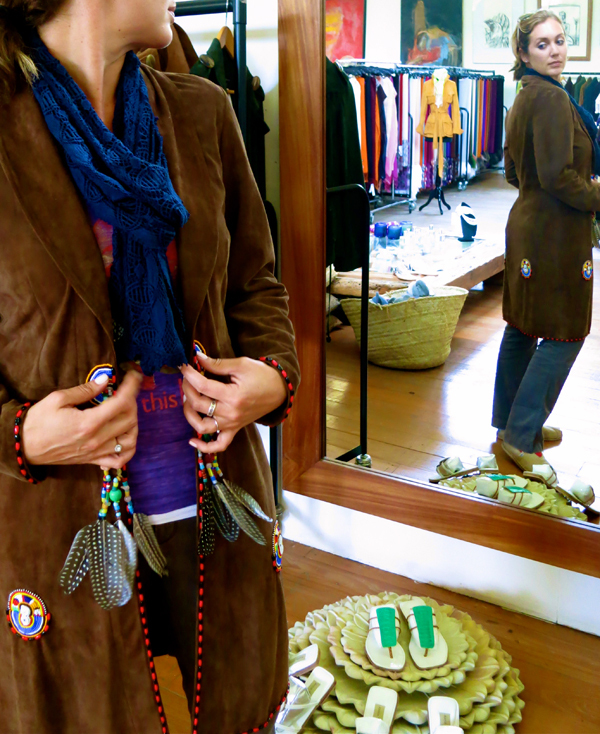 Lanee Lee checked out the stunning handiwork and styles in Nairobi. 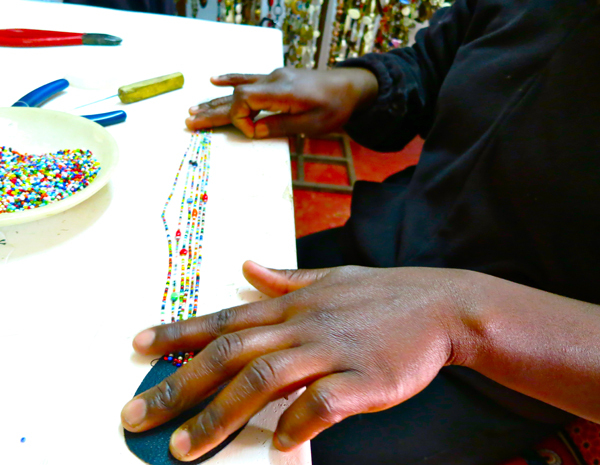 NAIROBI, Kenya – I am not the shopaholic fashion type. I'd rather have my teeth cleaned than scout the boutiques. 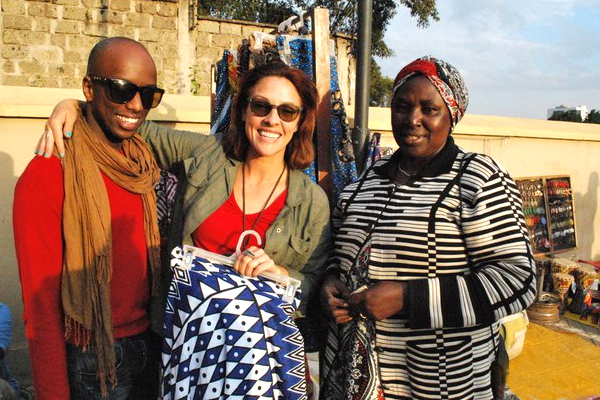 Then I visited Nairobi on a stopover to a Great Migration safari in Kenya, and I was transformed into a fashion hound. I couldn't help myself. The tribal-inspired clothing and accessories led my credit card to a bad case of chronic fatigue syndrome. Nairobi is not, at first glance, a glittering fashion capital like Paris or New York. You have to seek it out. But it's well worth it. Like foraging for truffles, gold mines of beautiful and rare treasures await. 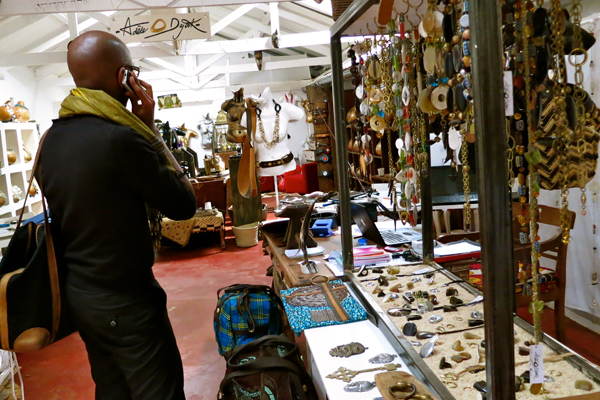 With Tribe Hotel brand ambassador Sunny Dolat as my guide, I began a shopping safari in Karen, the suburb of Nairobi named after Karen Bixby of Out of Africa fame. This is the neighborhood of designer and artisan studios, many of which are open to the public. Designs and the craft behind them at Anna Trzebinski. Suede leather coats accented in ornate Maasai and Samburu tribal designs. Pashmina scarves finished with ostrich and peacock feathers. These are just a few of the pieces I fell in love with. And so did Ralph Lauren. According to Trzebinski, when he stayed at , the chic eco-lodge in Laikipia, Kenya, that she and her husband own, Lauren encouraged her to open a store in New York City. Trzebinski's SoHo store is slated to open later this year. Until then, you can visit her atelier workshop. A stay at Winter's luxe huts at is a treat in itself, but so is the retail shop on the edge of the property. The Irish-born designer describes her style as vintage tribal meets modern mystique. Her horn and bone jewelry, some of the finest in Nairobi, is also sold at Neiman Marcus and Bergdorf Goodman. What do a well-heeled dog in Central Park and the future Queen of England have in common? They both wear Linda Camm accessories that mix traditional Maasai beading with leatherwork. When the Duchess of Cambridge was seen wearing Camm's shell belt, it put her on the fashion map, but her colorful dog collars are her most requested item. The workshop at Adèle Dejak. Every time I wear my Adèle Dejak ring made of recycled aluminum, I can't count the compliments. 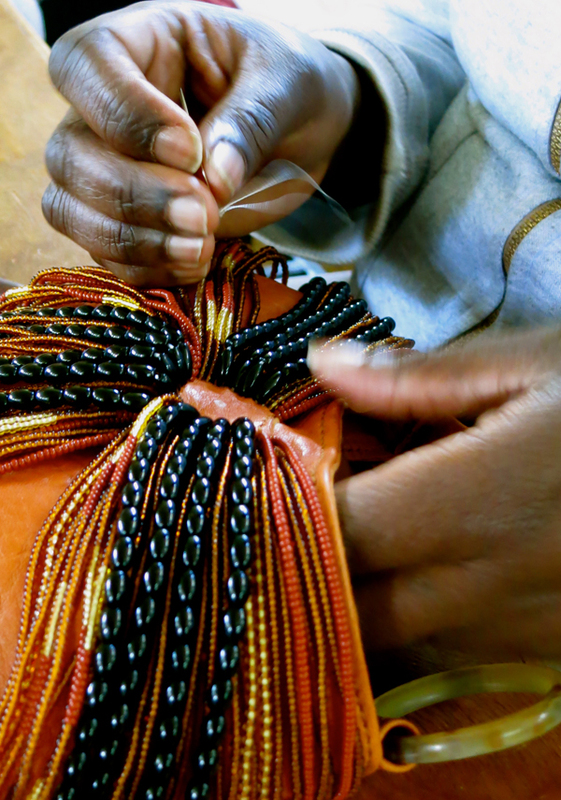 Her jewelry and bags are anchored in traditional African style, yet look modern and even edgy. 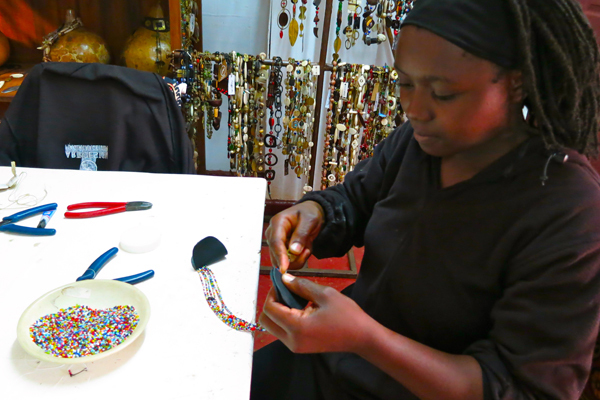 There's a Dejak shop in across the street from Tribe Hotel, but if you visit her showroom outside the city, you'll see some of East Africa's finest craftsmen and women at work. 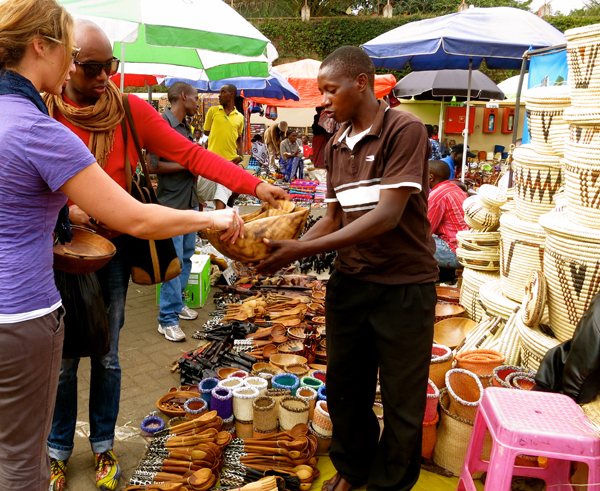 Shopping the Maasai Market in Nairobi. A vendor at the market. Dolat, Lanee, and a vendor at the Maasai Market. 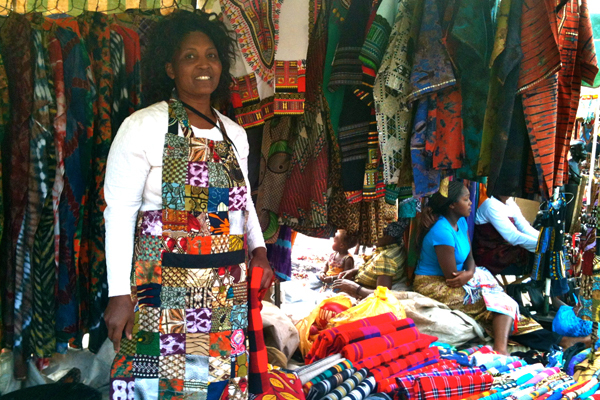 The open-air market held daily at a different location in Nairobi offers hundreds of stalls with traditional African crafts and fabrics. Yes, it's for tourists, but it's still worth going. 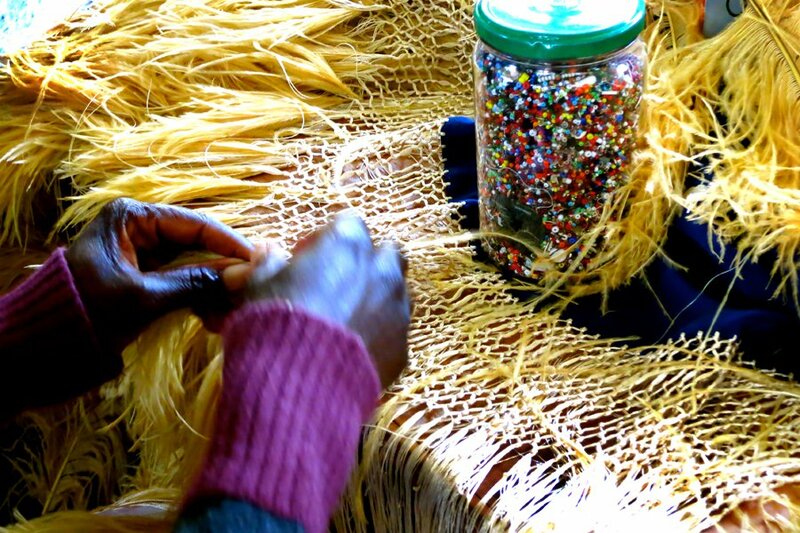 The items to buy include beaded leather flip-flops; kangas and kitenges (an African fabric with patterns typically worn by women as sarongs); wooden utensils, kitchenware, and figurines; and Maasai fabric (typically bright red and blue checked fabric worn by Maasai men). Don't be shy: Bargaining is accepted and expected. The heart of the city's socialite fashion and art crowd, the swank boutique hotel has rooms and public spaces decorated with local African art. 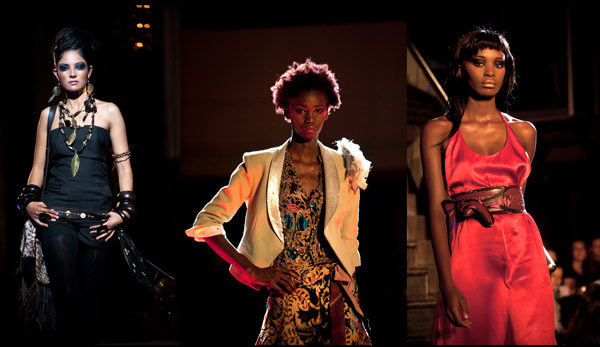 Their annual late spring fashion show, Tribal Chic, a partnership with GenArt Global, features Kenyan designers. Last year's winning designer, , landed a spot on the runway at New York Fashion Week. Scenes from Tribal Chic fashion show. Photo courtesy of Tribal Chic. Tribe is also home to Dolat, the on-staff fashion guru who leads shopping tours like the one I took. He's a wealth of knowledge on Nairobi's vibrant fashion scene — how to bargain at the Masai Market and where to find designers making custom suits or wild tennis shoes out of their homes.